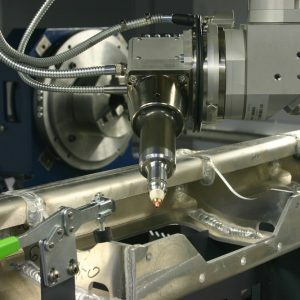 Ability to obtain the highest quality components using the most modern laser cutters with power up to 6kW. Ability to cut any number of copies, in any shape, with 100% repeatability. 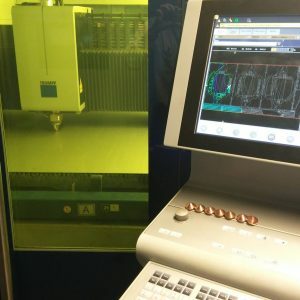 Thanks to CNC control and modern technological programmes, we obtain laser cutting accuracy up to 0.1 mm! 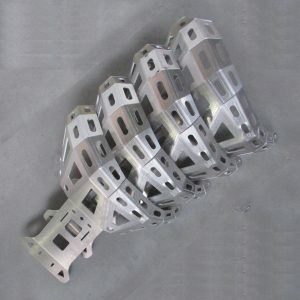 The high class of devices and permanent quality control allows us to make items that do not require further finishing. 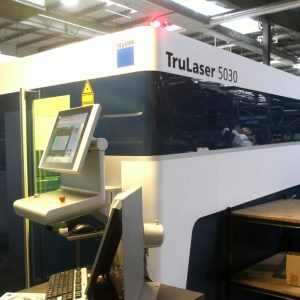 Laser cutting is contactless, which makes it possible to cut parts from ground and polished metal sheets without affecting their surface. 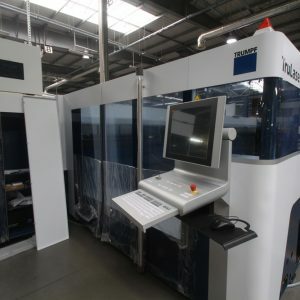 Modern technological programmes allow for the maximum use of material and optimisation of the laser cutting process. 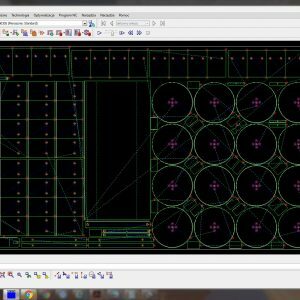 Maximum areas for 2D laser cutting are 6000 x 2000 mm, and 4000 x 2000 x 750 mm for 3D. 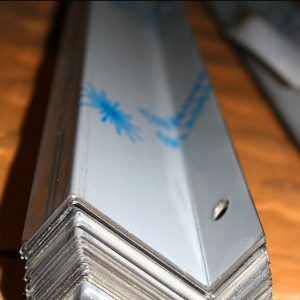 Steel sheet metal up to 25 mm, stainless steel sheet metal up to 25 mm, aluminium up to 15 mm, titanium up to 3 mm, brass up to 4 mm, copper up to 4 mm.